Haiti is no stranger to adversity, anguish and overwhelming human misery. It endured over 500 years of severe repression, slavery, despotism, colonization, reparations, embargoes, sanctions, deep poverty, starvation, unrepayable debt, overwhelming human suffering and destructive natural disasters. Democracy is pure fantasy – Jean-Bertrand Aristide’s tenure the exception to the longstanding rule. Elections when held are farcical, populist candidates excluded or marginalized to insignificance. Brazen disenfranchisement, ballot box stuffing, massive state-sponsored fraud and other irregularities are standard practice. Except for the Aristide years, last October’s first-round presidential vote was no different from earlier ones – fraudulent, illegitimate by any standard. Current president Michel Martelly won the same way, governing illegitimately. Hillary Clinton as Obama’s Secretary of State rigged things to install him. October 2015 elections produced no majority winner. The December 27 runoff between ruling Farmers’ Response Party candidate Jovenel Moise and Jude Celestin was indefinitely postponed. On January 1, Martelly announced it would be held on January 17, days later changing the date to January 24. No new runoff date was set. Haitians began protesting massive electoral fraud last year, highlighting their subjugation under US dominance, given no say on how their country is run, exclusively serving US, Canadian, other Western and local monied interests. Last weekend, thousands of Haitians protested in Port-au-Prince, demanding Martelly and prime minister Evans Paul resign, an interim government replacing them. Things remain in flux. 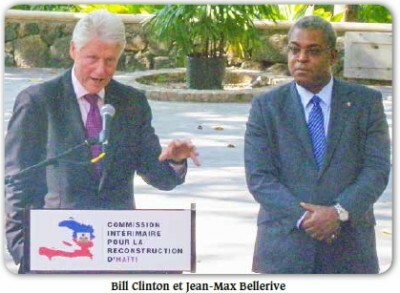 Washington controls Haiti’s political process, assuring business as usual always wins. On January 26, New York Times editors headlined “Democracy on Hold in Haiti,” knowing none exists, supporting indefinite postponement of its runoff instead of explaining its rigged electoral process. Martelly rules by decree. The terms of most so-called elected officials expired long ago. His term ends February 7. Nothing in prospect suggests relief for long-suffering Haitians.